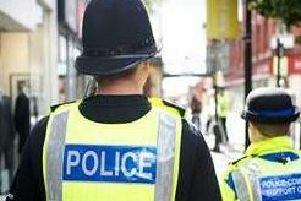 A 21-year-old man who was arrested by officers from the North West Counter Terrorism Unit and Lancashire Constabulary in Blackpool on Wednesday has been bailed, according to police. The man was arrested on suspicion of two offences contrary to Section 18 of the Public Order Act 1986 - using threatening/abusive/insulting words or behaviour or displaying written material with intent/likely to stir up racial hatred. The arrest relates to comments made at an event in Blackpool in March 2016 and to comments made on social media. Once in custody, the man was further arrested for another count of the same offence which relates comments made at an event in Yorkshire in February 2016. He has been bailed until 27 April 2017 pending further enquiries.